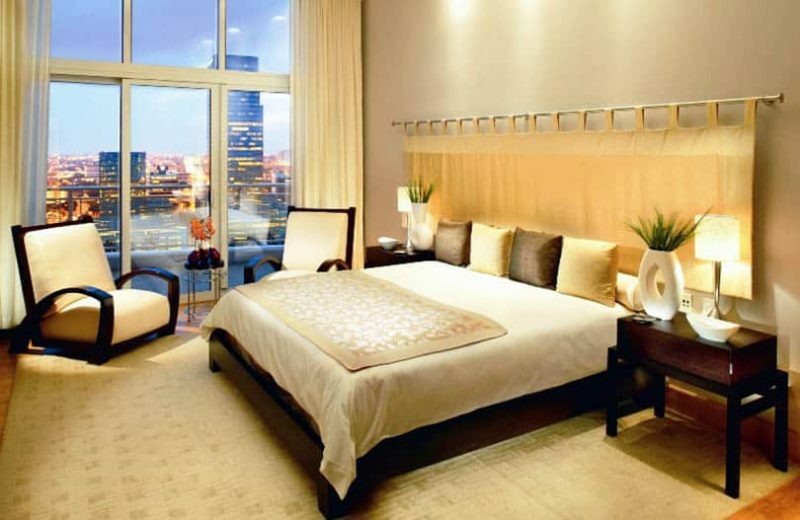 Here is our guide to using Feng Shui colors for your interior designs. In Feng Shui, there are 5 elements working together to bring peace, harmony, prosperity, and health to your space. One of the easiest ways to express these elements is with color. A few simple tips on where to put these colors will help you bring a little bit of that Feng Shui magic into your life. The Fire Element brings energy, strength, and passion into your space and is great for use in your home office, your bedroom, or anywhere that you want an extra bit of high energy. You aren’t limited to red though, orange, purple, pink, and strong yellow are all colors in this element. Visit this page for more about feng shui bedroom colors. Paint the bookshelves in your office a rich, brick red to bring focus and energy to your projects. Pile pillows on your bed in the sunset shades of purple, pink, and orange for a little jolt of extra passion. A strong yellow vase or window treatment in the southwest part of your living room will bring a sense of warmth to the room. The Wood Element, in lush tones of brown and green, expresses healthy, prosperity, and vitality meaning that every room in your home can benefit from this element. The easiest way to bring these colors into your space is with live plants. Not only do they purify your air, they bring the healing properties of the Wood Element into the entire space. A brown leather sofa, leather-covered books, and natural wood furniture are also great ways to bring those grounded, earthly brown tones into your space. Helping your inner peace, health, and relationships is the Earth Element. Tones of sand and light, buttery yellows represent the Earth Element. Fill a beautiful glass vase with sand from a memorable beach vacation. Paint your guest room a pale, toned-down yellow, use natural Maple or Birch furniture to bring in the sandy, light brown. In your bathroom, natural, light-toned driftwood piled into a pale yellow ceramic vase brings an even larger sense of calm to a relaxing bath. Water is the element of freshness, calm, plenty, and purity. In Feng Shui, water is seen as a way to ensure that wealth is bought into the home. Blue and Black are the colors for water and the use of mirrors and fountains help to reflect these colors, increasing their potency. From black subway tiles in your bathroom to flowing blue velvet draperies in your largest windows, Water lends itself to the most dramatic and stunning design elements. Frame all of your artwork in black frames to bring calmness to every room in your house. The 5th element in Feng Shui is Metal. Metal brings precision and clarity into your space and allows for increased efficiency in your daily life. That doesn’t mean that you need to fill your house with actual metal, the colors for this element are grey and white. A white tray on your breakfast table, topped with a vase of lovely white lilies and a few candles will get your day started with clarity and focus. White ceramic lamps on your bedside tables can help clear your mind before bedtime. Pearly grey walls in your study may even help you get to those deadlines ahead of time! Putting all of these elements together doesn’t mean that you have to have every color in every room of your house; but exposing yourself to all of the elements on a daily basis helps you achieve balance in your life. Fresh cut flowers, throw pillows, your child’s artwork, and seasonal décor are all great temporary ways of bringing Feng Shui into your home if you aren’t ready for a huge commitment or change right now. You can also look at what you already have and decide how you want to supplement it with color. If you have dark brown leather or wood furnishings, bring balance by bringing in blues, greys, and whites in the form of throw pillows or a new area rug. Layer in reds with accessories such as a small candy dish or mid-century ceramic vase. The color footprint doesn’t have to be large, small and subtle often does the trick and allows for greater creativity when deciding to bring Feng Shui into your home. It sounds a bit like a movie. Fire, Earth, Water, Wood, Metal, – Feng Shui! 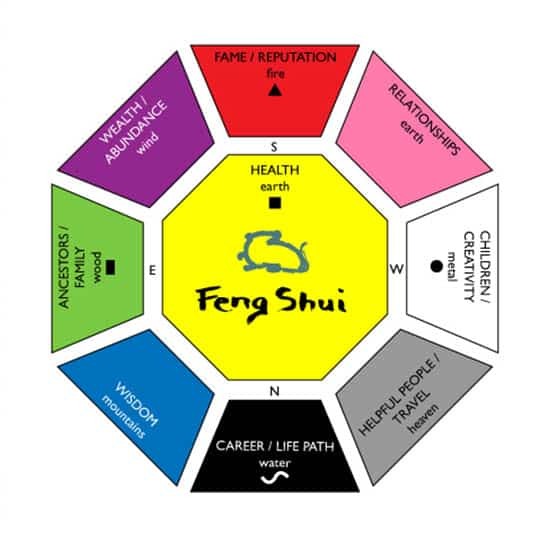 But instead of the action and craziness of a movie, Feng Shui aims to bring all of the elements together in the right balance to ensure that you don’t have too much of any one element. A balanced home will result in a balanced life, hopefully one with a little bit of extra wealth and glowingly good health.